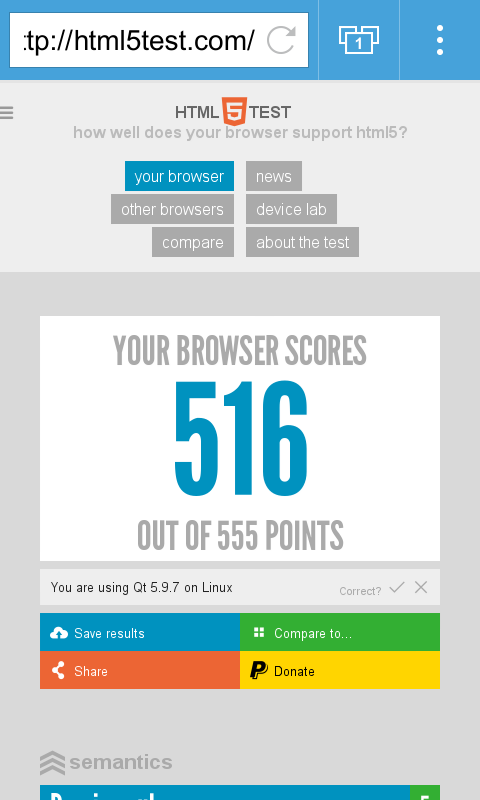 The Qt WebBrowser is a browser for embedded devices developed using the capabilities of Qt and Qt WebEngine. Using recent Chromium, it features up-to-date HTML technologies behind a minimal but slick touch-friendly user interface written in Qt Quick. All basic browser features are supported: You can search for text (both in history and via Google). You can bookmark pages, navigate in the page history, and open multiple pages concurrently. Depending on the codecs available, full-screen video and audio playback should also just work. You can also enable a private browser mode that leaves no traces after the browser is closed. Compatibility: Requires webOS 2.2.0 or later.